Even if you’ve never dove into search engine optimization (SEO) before, you’ve no doubt heard the term. You also likely know it’s vital for any brand. With so many different websites and companies out there, it can be tough to stand out from the noise. However, there are ways you can rise above, and one of them is by transcribing your audio to text. What is an Audio to Text Transcription? As its name suggests, audio to text transcription is the act of converting an audio file into written text. Audio to text transcriptions can either be condensed or verbatim, where “um,” “uh,” and other filler words are captured. There are times when you want everything to be transcribed precisely as it was said. In other cases, you might desire the more streamlined look that you’ll get without any filler words or false starts. But one thing’s for sure: there’s no reason not to transcribe your audio to text. That’s because you’ll see plenty of benefits when you transcribe audio to text. For one, you’re making your content more accessible for your audience. And making the user experience as smooth as possible should always be a priority. You’re also creating more content with minimal effort; rather than having to reinvent the wheel, you’re taking material you already have (an audio file) and developing another way for people to access it in the form of written copy. Perhaps the most significant result of transcribing your audio to text? You’ll see a higher return on your SEO, and it can positively impact your business. You should be keeping SEO in mind for just about everything you do. While some people can find you on social media or may hear about you by word of mouth, the reality is that a lot of people – up to 80 percent – still get their data from search engines. If you’re not optimizing your SEO, you’re missing out on a considerable portion of your potential audience. When you transcribe your audio to text, you’re reusing material that’s already created. In essence, you’re doubling the amount of content you have. While you want to maintain a certain standard of quality, SEO is partially a quantity game. 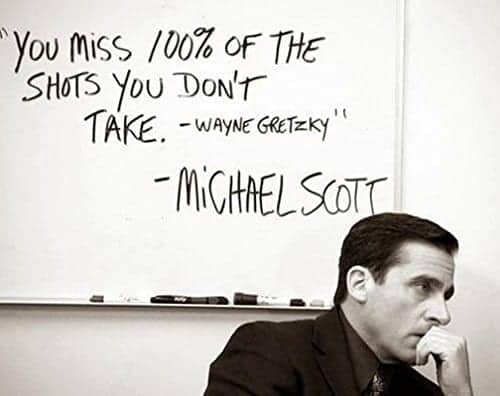 And just like athletes (or managers of paper companies) like to say, you miss 100 percent of the shots you don’t take. Having more content to crawl only helps your SEO. It’s a general rule of thumb that people enjoy getting to control their user experience. That’s not just opinion – a Forrester study showed that a better user experience (UX) design could increase conversion rates by up to 400 percent. Making things easy for your users makes it more likely you’ll turn them into customers. Transcribing your audio to text allows them to choose their preferred way of digesting information. Imagine if this blog post were a podcast. There could be a really neat stat here, something like the country that listens to the most podcasts is South Korea, where 58 percent of people do so. Or maybe you think that 233 million people own smartphones is a more interesting fact. Both of those link to cool sites with additional information on podcasting, smartphones, and a whole lot more. If you didn’t transcribe your audio to text, it would be more difficult to share any extra information with your audience. Sure, you could read off a stat, but if fans wanted to learn more, they’d either have to search online themselves or listen to you read off a clunky long URL. Neither approach is as simple or convenient as transcribing your audio and linking to additional info. You may have the perfect content for someone in your audience. It would help 100 percent of the problems they currently have, and it’ll make them grow stronger for the future. Doesn’t that sound wonderful? Now imagine this: that person never listens to your audio file with all that content. Why? Well, maybe they’re in a crowded area where they can’t hear sound. Maybe their speakers are broken, or they don’t have their headphones. Whatever it is, do you really want to take a chance on them missing out on what you’re offering? Why not offer the option to read your content instead of – or in addition to – listening to it? Listening to an audio file is more of a passive activity than reading an article. You could be doing the laundry or exercising and are still able to digest something if it’s being spoken to you. That’s a nice benefit, but it’s a lot harder to click and share content if it’s not written out. In fact, outside of clicking the play or stop buttons, it’s doubtful your audience will take any other action. When you transcribe audio to text, though, it’s a lot easier for your audience to take that extra step and share your post with their network, introducing your brand to hundreds or even thousands of potential new fans. Captions are a great way to get your audience to engage more by sticking around longer. Adding captions to a video on YouTube raises watch time by up to 40%. That’s good enough on its own, but consider the occasions when your audience might need captions. Is one of your audience members hard of hearing (35 million adults experience some form of hearing loss)? Are they in sound-sensitive environments, like a quiet library or a noisy train? It’s highly unlikely everyone you’re trying to reach is in the perfect setting to watch a video. Luckily, by transcribing audio to text, you’re promoting viewer flexibility and allowing your audience to choose what works best for them. That’s a boost to the overall UX of your site, and your audience will appreciate it. You now know why it’s so important to your overall SEO strategy to transcribe audio to text. But do you know what to do next? If you’re scratching your head, wondering how to get started, don’t worry. There are a handful of tips and tricks you can use to optimize your transcription file and make sure your strategy is as sound as possible. One of the best things you can do when developing content is to create AB tests. At its core, AB testing is taking content you already have and tweaking it a bit to see what resonates best with your audience. For instance, you could come up with two different titles for your transcript and keep an eye on which one people are flocking to more frequently. Or you could pull out key quotes from your file and see if your audience is more drawn to one in particular. You can even take AB tests to social media. Try two separate images to promote your post, or use two slightly distinct sentences in your copy. Be mindful only to change one thing at a time so you can be sure the tweaks you make are what’s resonating with your audience. It’s like you’re a scientist testing a hypothesis, just without a fancy lab coat. That’s a long, cumbersome phrase, and thankfully that isn’t the norm anymore. Today, you can simply type “billboard march 1998 top” and the first search result is a list of the top songs on the U.S. Billboard Hot 100 each week of 1998. And in case you were wondering, Aerosmith’s “I Don’t Want to Miss a Thing” was number one the week of September 5, 1998. We can pause a moment while you unleash your best Steven Tyler yell. Why does this matter? By knowing search engines look for intent rather than exact phrasing, there’s power in related keywords. One piece of content can rank for multiple phrases, which is a fantastic way to gain new audiences. Chances are that if you’re trying to rank for a phrase like “online marketing,” your audio file will have several related keywords, too. You’ll rank for all of them if you transcribe your audio to text. You can also use a tool like LSIGraph to see what other words are related to your primary keyword. Of course, going through an audio file and transcribing it takes time and energy. You may not have that kind of availability, but don’t let it discourage you. Instead, you can receive a transcription online from a service like Rev. Reliable. When you’re looking at an audio transcription service to use, accuracy is obviously a major concern. Rev guarantees 99%+ accuracy, so you know the transcript you’re getting will be correct. Fast. Rev turns around files within 12 hours, usually faster. Efficient. Using Rev couldn’t be easier. Just upload your audio file, and Rev’s team gets to work. When they’re done, you’ll get a text file in the format of your choice. Customized Services. Want even more with your transcription? Rev offers a variety of customizable services, like verbatim transcripts, timestamps, and integrations with Dropbox, Google Drive, and Amazon S3. You open up so many more doors for your business when you transcribe audio to text. From SEO optimization to making life easier for your customers, there’s no reason to wait. Check out Rev’s transcription services page to get started and see what new heights you can achieve.